Having long hair is a great thing because you have so many possibilities. Whether your hair is real or if you use extensions, all of these hairstyles will work with long hair, no matter how you have it. Most of these hairstyles are pretty simple too, so you won’t be taking up too much time in the morning or having to fix your hair throughout the day. 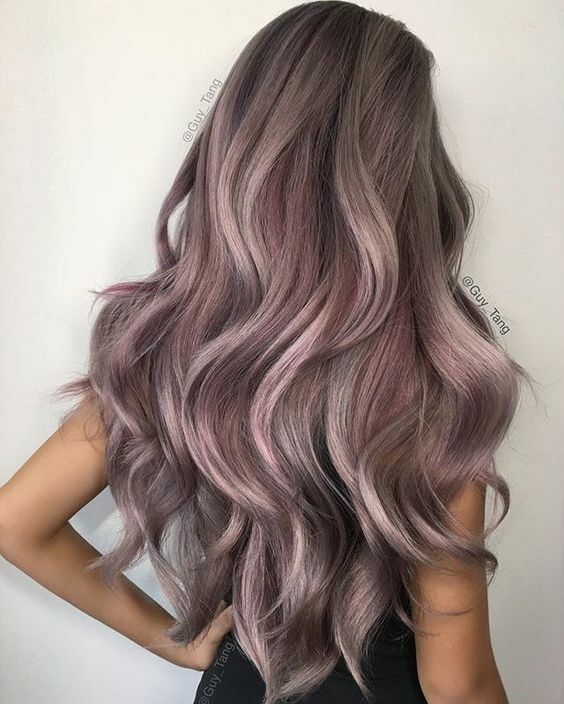 All of these long hairstyles will make you look amazing and hopefully give you some ideas for other hairstyles if you want to try to customize them to your liking. For all those long-haired ladies out there, these are 12 different hairstyles for you to try. This first hairstyle is extremely simple and will take almost no time. Known as the “Ariana Grande” hairstyle, the half ponytail is perfect for a date night because it’s still fun and flirty instead of just having your hair straight back into a ponytail. Braids look gorgeous on long hair because it seems neverending. Even though french braids do take a little time to master, having the braid attached to your head will look better. You can also french dutch braid for something different. 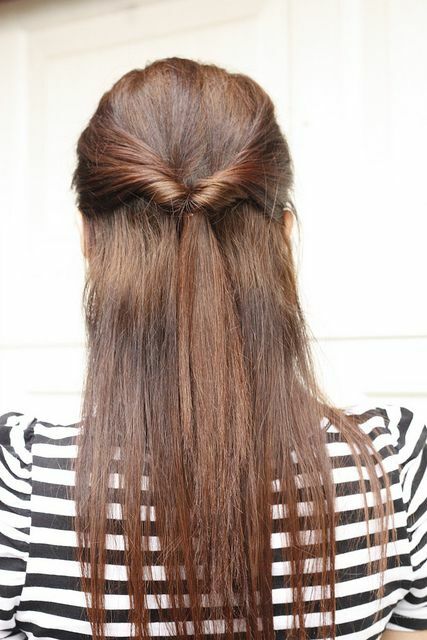 If you like the look of the half-up ponytail but want something a little dressier, try making it into a topsy tail. All you have to do is make a hole above your ponytail and pull it through. You have a twisted look without all of the effort. Maybe you like the look of a braid but don’t want your whole head braided. Try putting the braid to one side, because it will give the impression of a boho look without a lot of effort. If you really want to make it look even more boho-inspired, make your hair wavy. If you like the look of the previous hairstyle but prefer something a little simpler, this could be a great option. Follow all of the steps as the previous one but just pull some hair in the back in a little bun. It will give your hairstyle an extra relaxed feel. If you’re sick of wearing your hair in a ponytail, braid your hair this way. You don’t actually have to do any braiding because it’s a pull-through braid. It’s such a simple concept and extremely easy to do even though it actually looks pretty complex. The 90’s are coming back with this hairstyle! 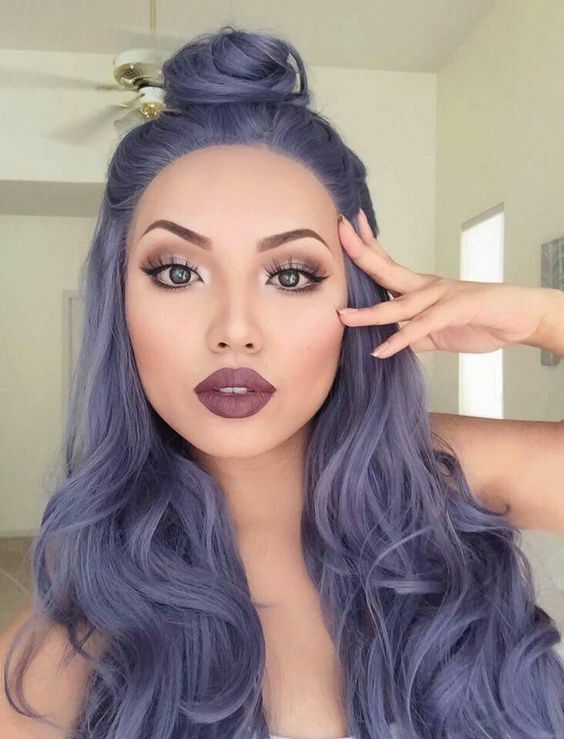 The two top buns is a perfect way to get the hair out of your face and give you a unique look without a lot of effort. It might not be that great of an option for work but could be fun if you’re just hanging out with friends or going out. I’m sure everyone has worn their hair like this at least once but a classic never got out of style. A top knot is a great way to get the hair out of your hair and look trendy with a half up-half down hairstyle. Plus you don’t really have to do anything to the bottom half of your hair either. The flower crown is obviously optional but this is such an intricate look that can be achieved quite easily. It would look great for a wedding or even a festival. If you’re looking for waves like this, try using a curling iron or wand to get them. They will end up being a little bit more defined but you can loosen them up by running a brush through them after they’ve cooled down. In the video, she breaks down exactly how to achieve this hairstyle. 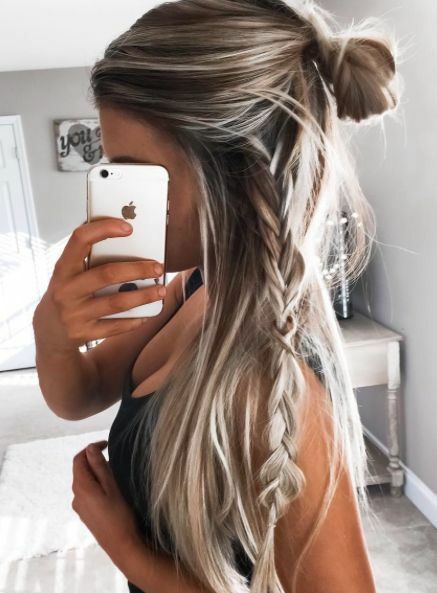 This would be a great date hairstyle, but it does take a little bit of time but ends up looking really cool when it’s done. If it all fails, try this simple to follow tutorial to achieve a crown braid because all you really need are elastics and bobby pins.